On the eve of his now feted Land’s End to John o’ Groats record attempt, Michael Broadwith sat on the seafront at Sennen Cove, Cornwall, and stared through a beautiful June evening at the horizon. Cradling his eight-month-old baby girl Poppy, he considered the enormity of the task ahead and felt, above all, grateful. Grateful because in the background his wife Helen and a selection of close friends and relatives were busy in a last-minute meeting, talking, planning — all for him. The meeting finished, Broadwith sat down to dinner with his crew, ate sausage and mash, drank beer, and retired to bed. Originally from a rowing background at Oxford University, it was only a two-wheeled graduation present from his parents that turned Broadwith on to cycling. But it wasn’t long before Broadwith discovered a talent for time trials. Riding for Arctic-Shorter Rochford, he did well at distances from 10 miles upwards, though 100 seemed to be his best. “My best year back then was 2006 — we won the team Best British All Rounder [BBAR], I came fourth individually in the BBAR and I came fourth in the National 100,” he says. He began a rationed programme of races, eventually trying the National 24-hour in 2015, which he won with an impressive 537.5 miles. Three wins down the line, now 40 and with plenty of encouragement from people on the scene, he signed up for LEJOG. For the first 24 hours of his LEJOG attempt Broadwith rode his Specialized Shiv time trial bike at a controlled 220 watts on the flat, 280 watts on the hills. For Broadwith, whose FTP is an enormous 400 watts, this was just about ticking over, keeping plenty in reserve. His support crew and observers, totalling 15, trailed patiently along behind, split across three vehicles. 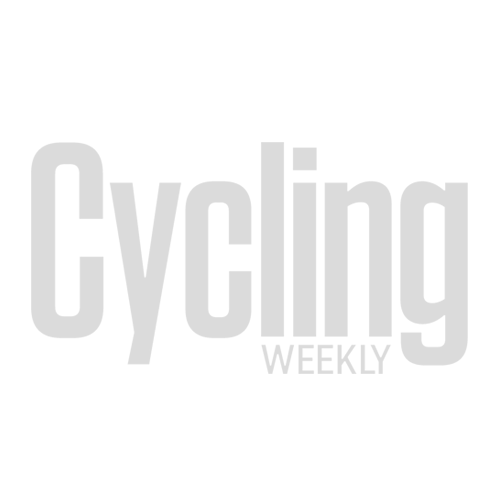 They included Arctic-Tacx team-mate Tim Bayley, legendary mile-muncher Steve Abraham, and John Williams, who organises the Mersey Roads 24-hour each year. He was asked by Broadwith — who has a deep affinity for the ‘24’ and those who make it happen — to hold him up at the beginning of the attempt — “because it felt appropriate”. Broadwith was also wearing a number 85 from the Mersey Roads race, which he has worn before. Dispatching Cornwall and Devon on the ultra-rolling A30, he negotiated Bristol’s notoriously tricky streets and emerged well ahead of his own schedule. Come Gloucester he was 42 minutes up, and he carried that lead throughout the day and into the north. He was still holding it at Preston where current record holder Gethin Butler made a dead-of-night appearance to help marshal and generally lend his support. Coming from the man who stood to lose his record, it was sportsmanship of the highest order, and maths teacher Broadwith says it’s a story he enjoys telling his pupils as an example of such. Broadwith enjoyed a moderate tailwind as he motored north, his crew observing all the time the strict RRA protocol which forbids any communication with the rider from a moving vehicle, and limits overtakes to two an hour. Also on the support team were Broadwith’s aunt and uncle, who he describes as “my super fans”. Their warm and well-equipped camper van plus an intriguing wardrobe of fancy dress would be a constant source of cheer for their nephew. “They’re the people you see in fancy dress [on social media], cheering away. My uncle dressed as Buzz Lightyear has just kind of gone round the internet. Once I passed them and my aunt was dressed as a horse and my uncle was whipping her — they definitely pushed the boundaries,” Broadwith chuckles. The support strategy — fancy dress and all — was a carefully choreographed game of mobile leapfrog which continued through the 24-hour mark near Lockerbie in an RRA-record breaking 507 miles. The previous record, also held by Butler, was so strong that Broadwith and his team hadn’t bothered scheduling for it. But thanks to super legs and a little help from the wind, Broadwith describes it as the best ‘24’ he’s ever ridden. Breaking the record did, however, require a final push and that, he reckons, combined with the rush of setting a new mark contributed to the desperate low that followed. “It’s that feeling of, ‘Oh great, I’ve done 24 hours,’ and then, ‘Oh bloody hell, I’ve still got to do 350 miles’ — and that’s a fair old ride. And I’ve got to do it through the Highlands. And it’s lashing with rain,” deadpans Broadwith. He isn’t the first to have suffered a dramatic drop in morale after 24 hours. Butler told him afterwards that the same had happened to him. By now the rain had settled in and Broadwith began to stop more often to get into dry clothes. But no sooner had he got changed and bundled back out onto the road than he found himself soaked through again. Then, at Perth, the neck problems that nearly scuppered the whole attempt began to become a serious issue. Switching from his Specialized Shiv to his spare machine, which had higher bars, allowed him to at least see the road in front of him, but departing yet again in the hammering rain saw his morale reach a new low. His legs were fine; he wasn’t sleepy, but freezing cold and unable to hold his head up, Broadwith was mentally spent. “All the positivity had been battered out of me,” he recalls. “I’d reached a point where I didn’t care about the record, and I’d started to think about getting a hotel room for the crew in Perth and everyone to get some sleep. It’s clearly still a visceral memory for Broadwith, as he recalls how his wife, essentially, saved his attempt. “I just looked at Helen and I was like, ‘I just can’t do this for 11 hours,’” he recounts. Inelegant as his position was, he was buoyed up by the knowledge that the record was all but in the bag. “Enjoyable’s not quite the right word, but I was in a really good place. My friends and family were there, cheering me on, they were all slowly realising it was going to happen — the shouts were changing from, ‘You can do this,’ to, ‘You are gonna do this,’” Broadwith says. He finally rolled into John o’ Groats in the early hours of the third morning, greeted by locals who had turned out to cheer him in, and into the arms of family and friends. With hugs and bonhomie duly distributed and thoughts gathered, little remained for the crew and their charge in what was still the wee hours. They turned tail and drove back 120 miles to Inverness to find somewhere to rest. A few hours later, after an all-you-can-eat hotel breakfast, Broadwith’s supporters, all of whom had forgone a lot of sleep themselves, hit the hay. But the new LEJOG record holder wasn’t tired. After a week during which his body “went into a total meltdown” and he became increasingly tired and lost five kilos, it was back to normal for Broadwith, although things have changed. Broadwith has been in serious demand since he broke the record. As well as a vast amount of media coverage, Haberdashers’ Aske’s School for Boys in Hertfordshire, where he now teaches and used to attend himself, held an impressive ceremony to celebrate his achievement. And the evening before we met, Broadwith had given a talk to members of his own cycling club, all eager to learn more about his exploits. There will always be the track, plus the local ‘10’, but it’s still the 24-hour that interests him the most. “That event has changed my life. And I need to go back and show my true colours,” he says, following an unaccustomed bronze-medal finish in this year’s race, which he achieved, amazingly, just a month after LEJOG with 496 miles. Broadwith even mentions the possibility of trying something like the Transcontinental, or the World 24-hour at some point. Whichever endeavour Broadwith talks about, it all comes back to family — can he justify the time away from them? It’s why he doesn’t race every weekend but focuses on quality over quantity. As little Poppy would no doubt agree, it means they’re behind him, literally, all the way.